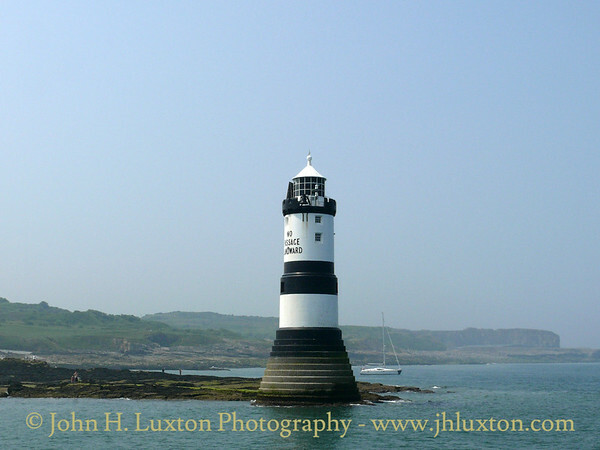 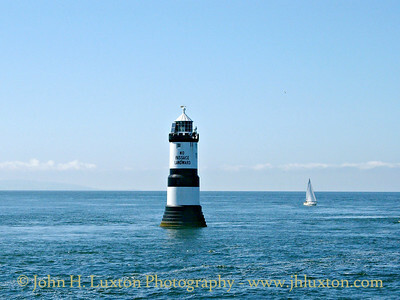 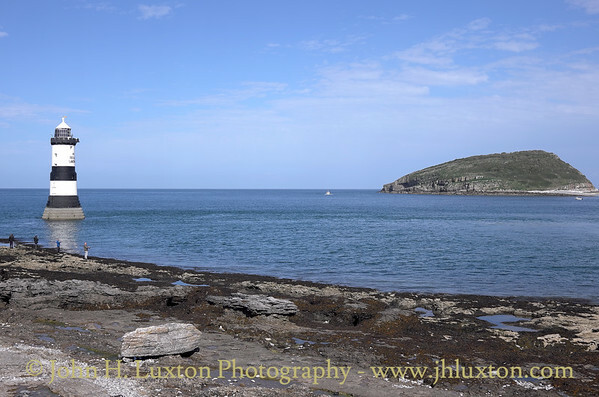 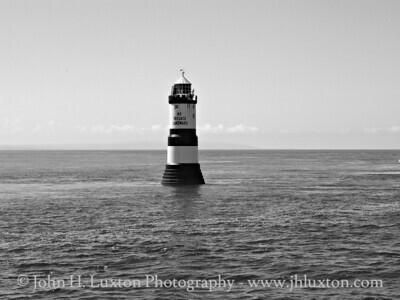 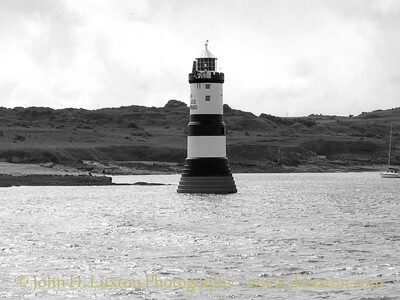 Trwyn Du Lighthouse, Penmon Point, Anglesey, Wales. 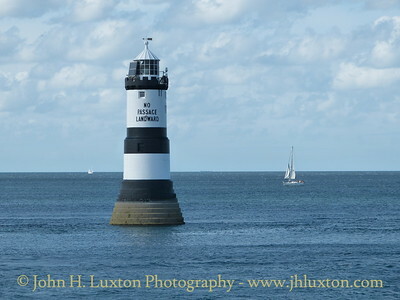 The Lighthouse is 29m tall and was designed by James Walker and built in 1835-1838. 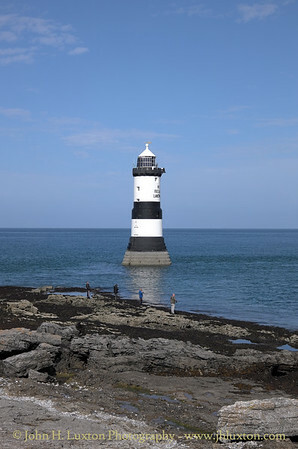 It was his first sea-washed tower, and a prototype for his more ambitious tower on the Smalls. 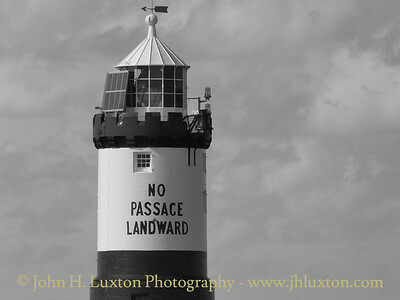 The Lighthouse has a stepped base designed to discourage the huge upsurge of waves that had afflicted earlier lighthouses on the site and reduce the force of the water at the bottom of the tower. 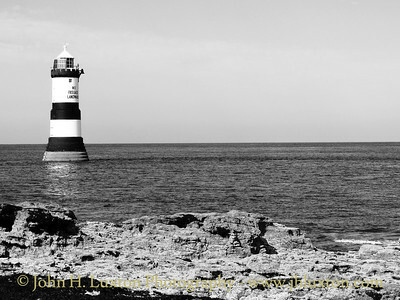 Austere vertical walls, instead of the usual graceful lines of other rock towers, are probably an economy measure. 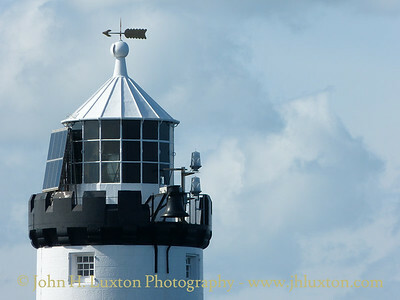 The tower has a crenellated stone parapet, in preference to iron railings on the gallery, and narrows in diameter above the half-way point. 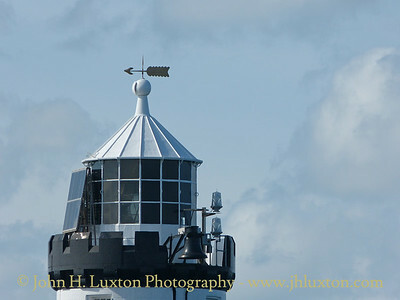 These are a features used by Walker in his other lighthouse designs. 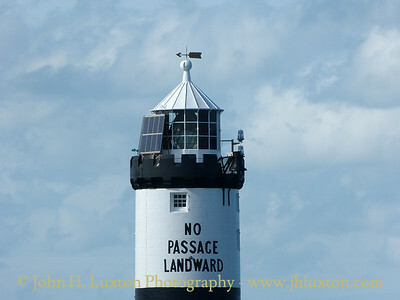 The tower is distinguished by its original three black bands painted on a white background. 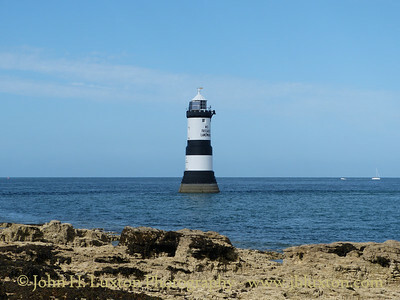 Walker also pioneered, unsuccessfully, the use of a primitive water closet, comprising a specially designed drain exiting at the base of the tower. 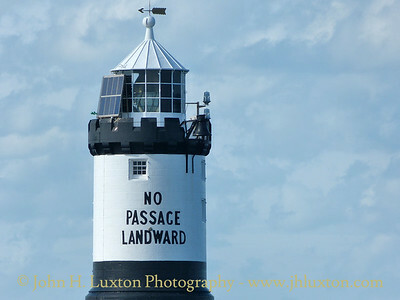 The stepped design of the lighthouse may have helped water exit the closet, but surges of seawater made its use difficult during heavy weather. 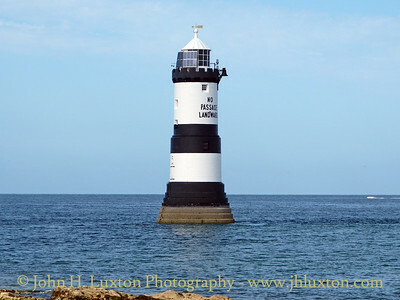 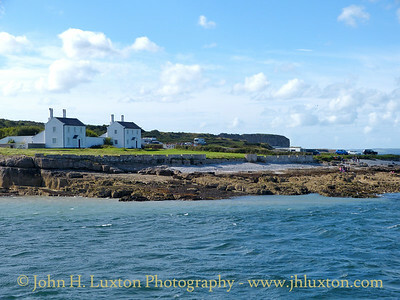 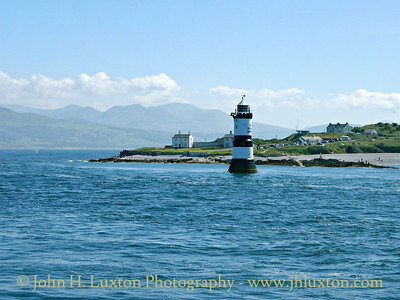 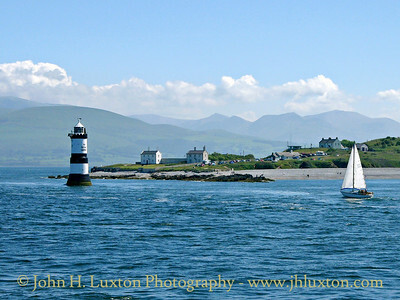 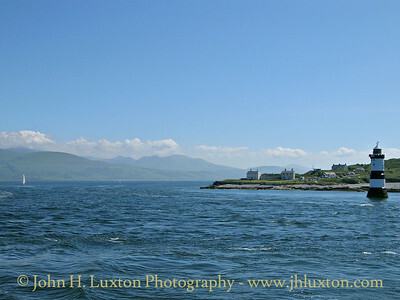 Trywyn Ddu Lighthouse and Penmon Point Anglers. 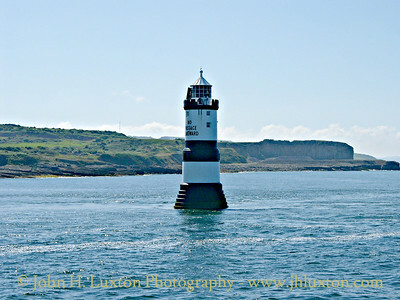 Trywyn Du Lighthouse - the bell sounds every 30 seconds.